Tom Roth has a track record of executing successful projects of all kinds around the world. He has developed and acquired well over $1 billion in commercial real estate in the U.S. and abroad. Tom’s experience covers the full spectrum of commercial development, financing, leasing and marketing and asset management and through that experience Roth Advisory performs services to investors, developers, corporate entities, institutions and family offices. From Chicago, Illinois, Tom attended the University of Michigan – Ann Arbor and received his MBA from Northwestern University’s Kellogg Graduate School of Management. As Vice President of Acquisitions at Walsh, Higgins & Company in Chicago he developed over $400 million in single tenant build-to-suit projects as well as provided development advisory and program management services on high profile projects such as the redevelopment of Chicago’s landmark Navy Pier. In his 10-year tenure as a development executive at Hines his development experience included office, retail and land developments in Chicago, South Florida and in Barcelona, Spain where he led the development of Diagonal Mar Centre, a 3 million gross square foot regional shopping center on the Mediterranean Sea. 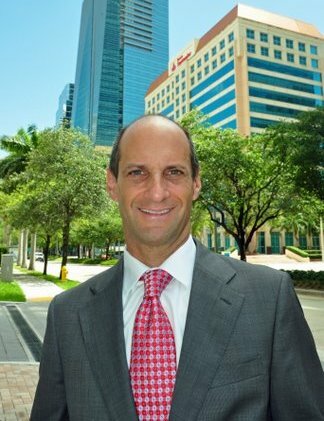 As a Project Officer in Miami, Tom developed, leased and sold the highly-successful 2525 Ponce de Leon Building in Coral Gables, acquired over 2 million square feet of office buildings and was awarded the Program Management on the Frank Gehry designed New World Symphony Center in Miami Beach.